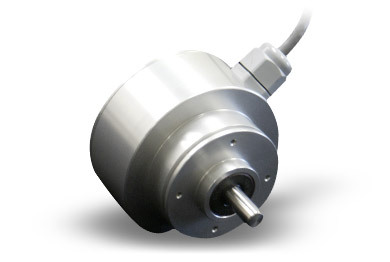 Our industrial grade encoders provide your system with the durability it needs to consistently operate the way it should. 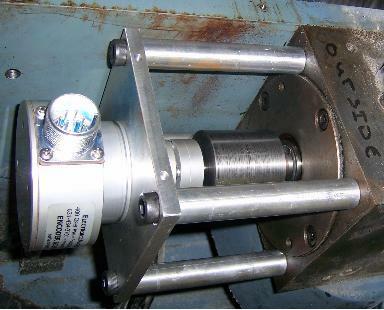 The ever increasing operating speeds of today demand an encoder that is durable and resistent to vibration, shaft run-out and axial movement. 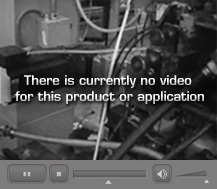 Our encoders feature a robust dual-bearing design and an overhang load capability that is 3x the industry average to compensate for these common issues and to prevent any unnecessary encoder related downtimes. For technical specifications, please refer to our Features section or give us a call at 631-434-3700. Standard 12 foot pigtail, as well as 7 or 10 pin connectors in single ended and differential output, with or without index pulses. 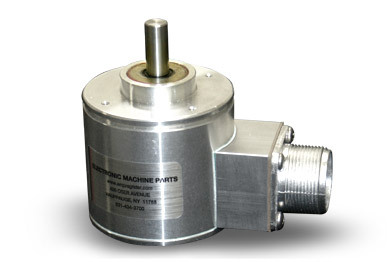 Aside from the durable housing, the EMP encoder features optical components as well as two bearings to increase its ruggedness.